Registration is now open so get registered…and save $500 now. For a preview of what is coming in Windows, be sure to check out all the details at the company release “Previewing ‘Windows 8’” which includes a video walk through of some of the features. 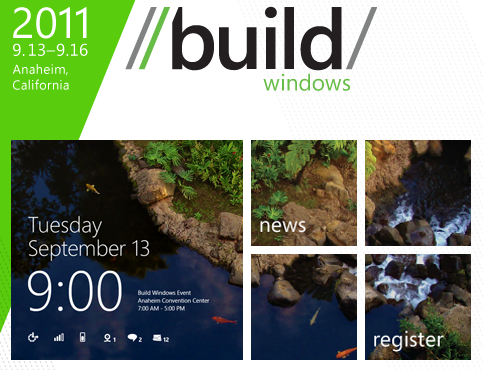 Then go register for BUILD!